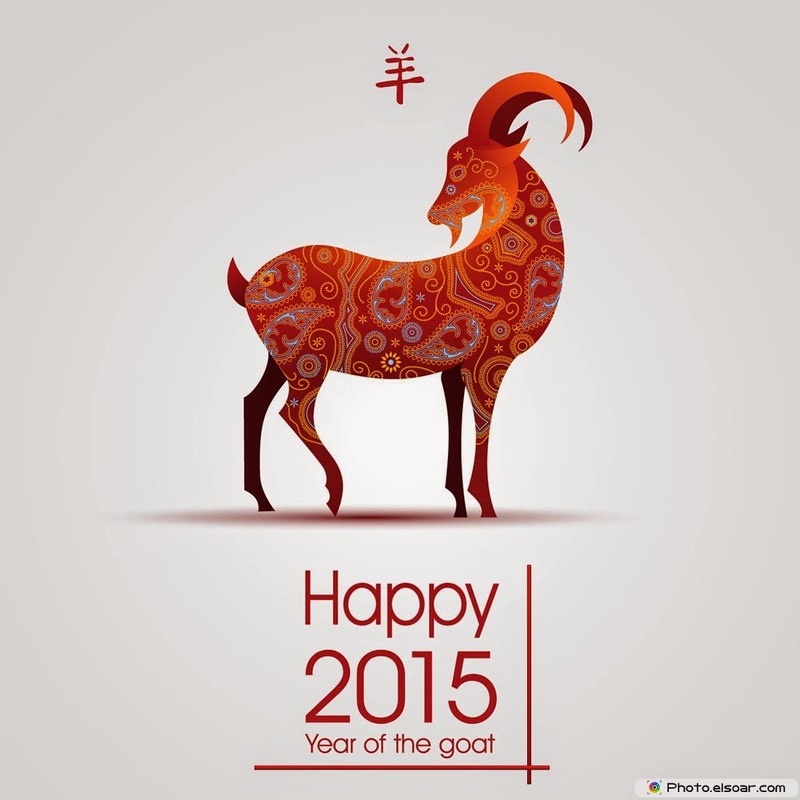 This year we are going to be celebrating the Year of the Sheep (Goat) on February 19! Although Chinese New Year happens on that date, for the Chinese people, New Year's is actually a long celebration. Beginning on New Year's Eve, we celebrate with 15 days of various rituals and traditions. Before the New Year, families will do a big "Spring Cleaning" type tidy to sweep out the bad luck and have a clean home ready to welcome in good luck. The New Year's Eve dinner is a big event where certain foods are cooked and eaten to symbolize a variety of things (eg. fish and dumplings mean prosperity). On New Year's Day, we visit our elders- the grandparents or great grandparents, the oldest ones in the families. On the next day (Day 2), the daughters traditionally will go to visit their own families (in ancient times, the married daughters did not have much opportunities to see their own families). The third day is a day when having visitors or visiting is bad luck so everyone stays home. And so on it goes with different activities on different days until the 15th day. In current times, most holidays end after three days and people go back to work. Here is link briefly describing some of the traditions from Day 8 - 15. The goat is known to be calm, dependable and good-mannered. They like things to be tidy and organized and don't function well when their workspace is messy. The sheep like to plan ideas out in their heads before sharing their often very thoughtful ideas with others. They tend to be introverts. 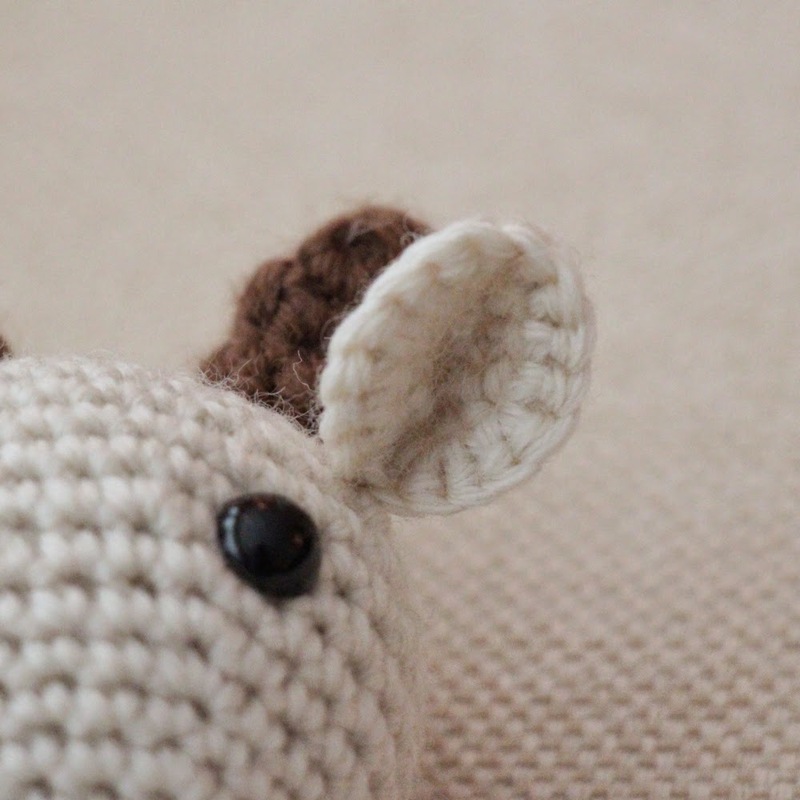 Our sheep/goat pattern uses the pointy head (just like the Rat!). Please visit the main pattern page first for more tips and important information. 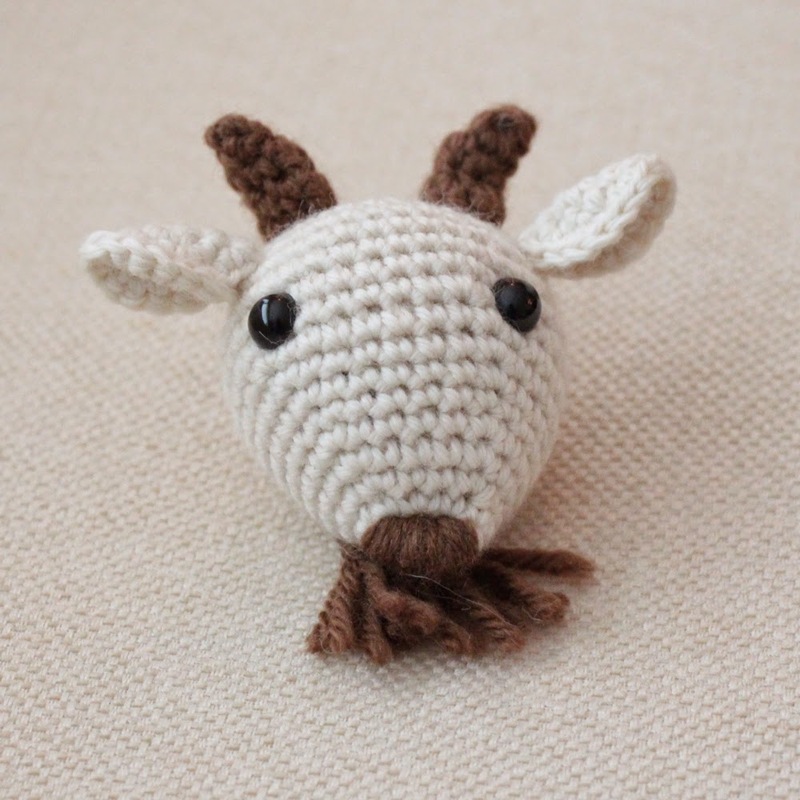 With worsted yarn and size A hook, the goat will be approximately 7 inches in circumference. Before continuing, find where you want the face to be and squish nose area flat. 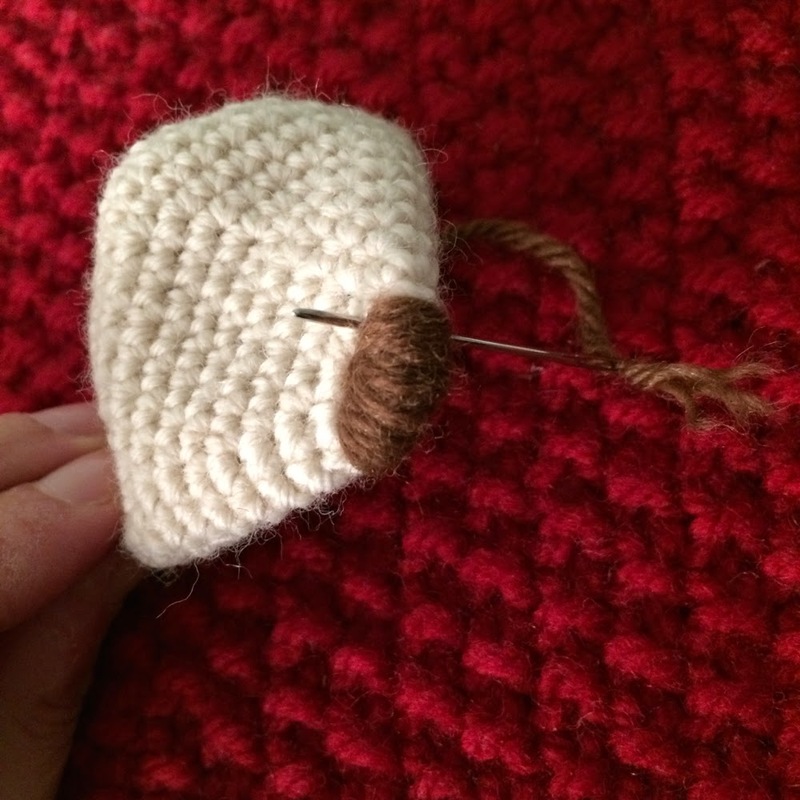 Whip stitch vertically until you have a dense nose (brown yarn) (pic below). R22 (DEC, 1) repeat around. Fasten off. Weave loose end through each stitch in the opening. Fill completely with stuffing. Pull tightly to close. Sew in your end. R1 Magic circle with 6 sts into the loop. R3 (1, INC) around (18). Finish off leaving tail. Fold in half with the wrong sides facing in and attach to the head. These can be a little tricky to do. Fortunately, they are quick enough that if you have to do them again (to make them even more perfect!! ), it won’t be too much effort. R1 Magic circle with 3 sts into the loop. R4 1 hdc in next st, 2 dc in next st, 2dc in next st, 1 hdc in next st, 1 sc (7). R5 1 dc in next st, 2 dc in next st, 1 dc in next 2 st, 2 dc in next st, 1 dc in next st. 1 sc (9) Bind off. Leave tail for sewing, attach to head. 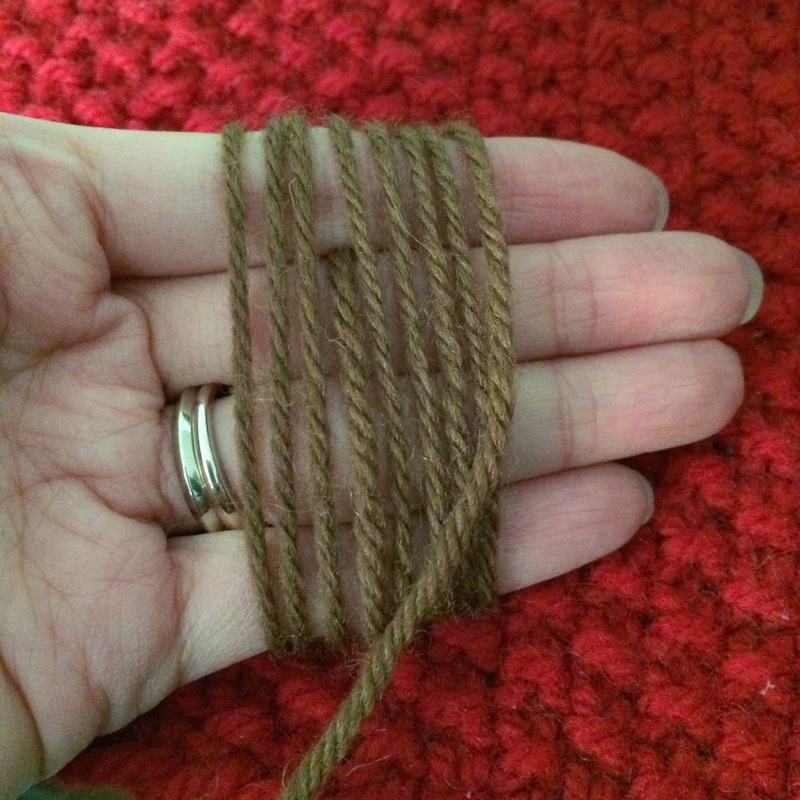 Wrap brown yarn around your fingers 8 times. Cut at one end so you have 8 “whiskers”. Attach in “latch hook” style to the chin. Trim whiskers. That's it! Just a few more animals to complete the dozen. Next up is the Monkey! PS. As always, please let me know if there are any issues with the pattern and I will fix it up! 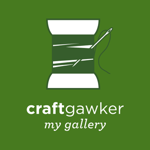 If you ever need any help or want to make a comment about anything, please contact me thru this blog, Facebook, IG, Etsy.....etc! All those little details really bring this one to life! This is adorable! Thank you for these patterns.